Indoor air quality is an important issue in many homes and businesses. Clean air is healthier to breathe, and it makes a big difference for residents or employees. If there’s no obvious problem, you may assume that your indoor air quality is just fine. Without professional help, contaminants can go unnoticed. G&M technicians know the damages that poor air quality cause, and they have experience to see the signs of it. When your office has poor air quality, it can seriously affect the comfort and health of your staff. When anyone is repeatedly exposed to poor air quality, they can suffer from respiratory issues, aggravated allergies, congestion, and other physical symptoms. An indoor air quality check will identify and then prevent any pollutants from threatening your employees and customers. Your home needs to be safe and protected. You don’t want to expose your loved ones to poor quality air. 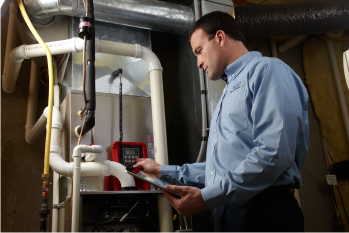 Unnoticed contaminants in your home’s cooling or heating system threaten your families’ health and wellness. They can cause recurring sneezing, coughing, and congestion. Moisture is another factor that poses a considerable threat to air quality, and, therefore, your family. Don’t take a chance when harmful spores could be circulating in your house. Stop mold and other pollutants from spreading in your home. G&M can work with our trusted industry partners to perform a comprehensive indoor air quality check of your home or office. 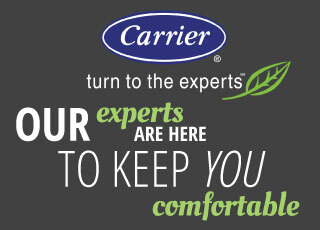 We can then discuss with you if installing a high-efficiency filter from Carrier is a suitable option to help maintain your air quality. You can’t see them, but they could be in your home right now. Mold and dust are hard to detect, but G&M experts know what to look for. Carbon monoxide is even more dangerous. Odorless and invisible, carbon monoxide is a threat that should be taken seriously. Don’t risk your health when it comes to indoor air quality. For more information, call 919-772-8820 to get in touch with a G&M expert today about indoor air quality checks.